SysTutorials displays advertises from ads networks including but not limited to Ad Exchange and Google AdSense. To advertise on SysTutorials, please target us on these ads networks. Other options are possible. Please contact us directly to discuss where and how to post your advertises. 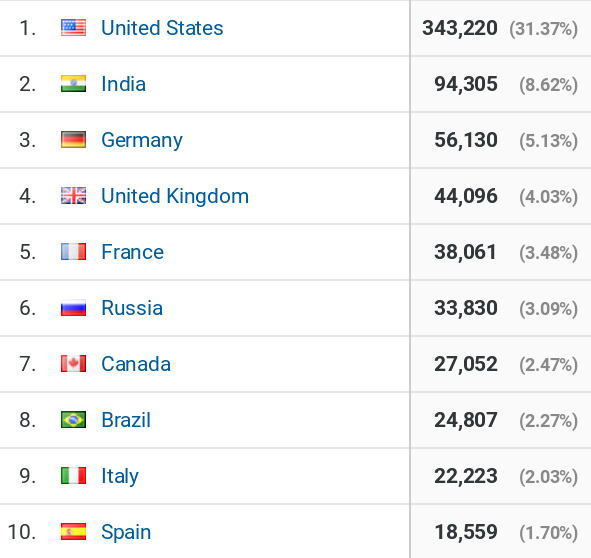 The top 10 countries of the visitors among a period of time. About sponsored posts: we do not accept sponsored posts for advertisement purpose currently. However, we do accept contributions which fit in and enrich SysTutorials.